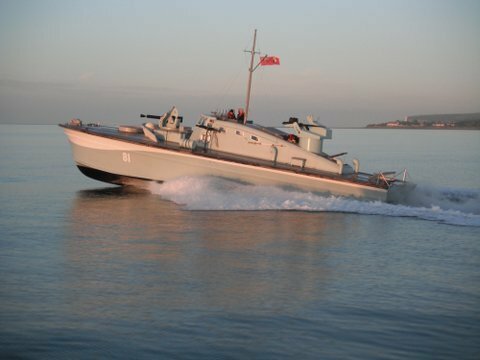 Just wanted to say that Yesterday channel is doing a programme called Impossible Engineering, and trailer shows MGB81, presenter saying "these were the Spitfire of the seas" great to see her underway, will look out for the show, save posting twice, great entry on RN/CF page, diary entry of MTB veteran, war ended, wrote to Mum, reminds not that we need it here, of the privilege we have today to be in democracy and the life we have today. Just update on the above really, almost by chance tuned in 15 minuets into the above, and it was again by chance, episode on the new carriers and showed MGB 81 at see, bit of a pounding and at speed, hope the show paid well for the fuel plus! was to illustrate high speed engines, presenter talked about her having three petrol Packards, clearly not mentioning what she has now, but looked great, as I say bit rough. Then footage of MGB 2009 in 1947 demonstrating use of gas turbines which the carriers now use. Another shot of MGB 81 at speed off the I.O.W. Early morning on her way to France 4th June 2015. Now sporting a twin Oerlikon mount abaft the Bridge. By the by but saw MGB 81 on the TV show Impossible Engineering last night, repeat of course, seen before but had forgotten she was going to be on the show, one on the new aircraft carriers...looking at the propulsion systems developed form her to the carriers, great footage of MTB 2009 which was run on a gas turbine! went like...but the fuel consumption, of course the new carriers are effectively electric driven.. heave seas for the filming and much spray onto the bridge, comment was "we are soaking"! Just seen today great shots of MGB81 ashore for maintenance on Facebook ex Portsmouth Naval Base Property Trust, straight on almost, with new anti-fouling....good to see of course, best to the team looking after our coastal forces vessels.